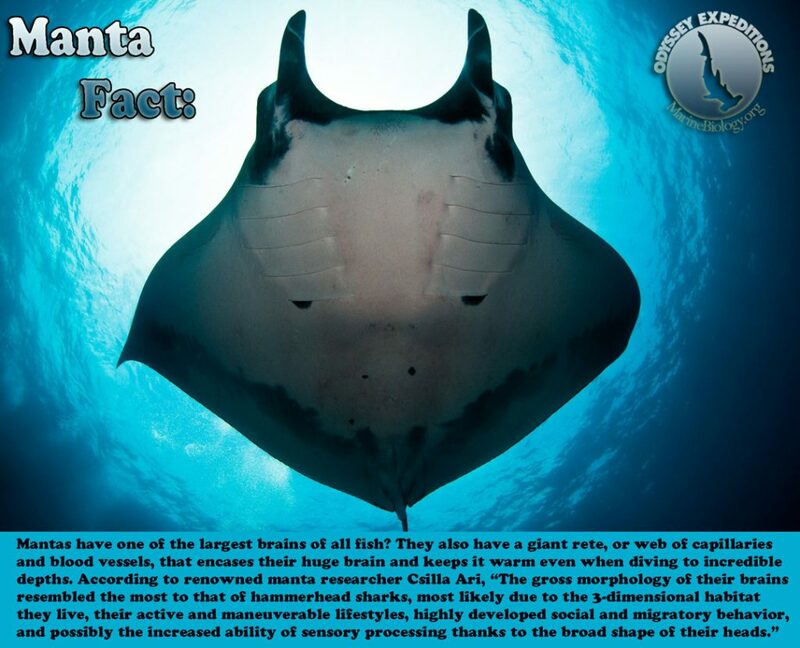 Mantas have one of the largest brains of all fish! They have a giant rete, web of capillaries and blood vessels, that encases their huge brain and keeps it warm even when diving to incredible depths. The distinctive ‘horns’ on either side of its broad head are actually derived from the pectoral fins. During embryonic development, part of the pectoral fin breaks away and moves forward, surround the mouth. The way the horns develop is surprisingly simple. All it takes is a tiny notch that deepens and widens as the manta grows, separating each fin into two distinct parts: one for feeding and the remainder for swimming. 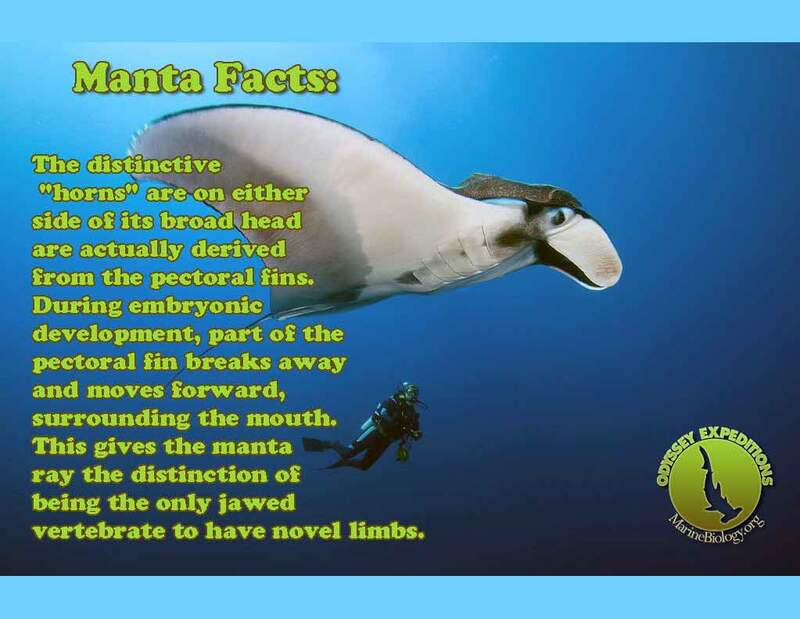 This give the manta ray the distinction of being the only jawed vertebrate to have novel limbs. These flexible horns are used to direct plankton into its mouth. And the plankton is funneled precisely in.